Dr. Kukler received his undergraduate degree at Kenyon College in Gambier, Ohio. Following his graduate studies at Kirksville College of Osteopathic medicine, he completed his internship and residency at Michigan and his specialty training at Yale University in New Haven, Connecticut. 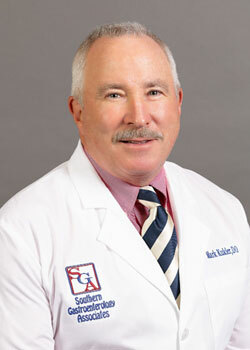 Dr. Kukler is board-certified in both Internal Medicine and Gastroenterology. He is a member of the American Medical Physicians, The American Gastroenterology Association, The American College of Gastroenterology, the American Osteopathic Association and the Georgia Osteopathic Medicine Association.